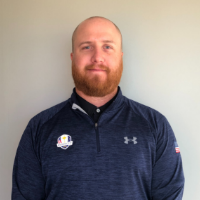 Chad joined the Hurricane Junior Golf Tour as of February 2019 as the Manager of Course Scheduling and Recruitment. Born and raised here in Orlando, Chad was a multi-sport high school athlete in Baseball, Football, and Basketball then continued his athletic career at the collegiate level in Baseball at Shorter University. Chad has a sincere passion for people and helping others succeed and is committed to bringing that same passion to his role on the team at HJGT.